This item is expected to ship 4-6 weeks after the event on May 14, 2019. Psychiatry is one of the most challenging areas of medicine, secondary to the subjective nature of the specialty. As clinicians, we have no objective data to base our course of treatment on. Psychopharmacology and psychotherapy are our best options in terms of treatments and therapy is only successful if the patient is committed to attending every session, completing their homework, and willing to make the necessary life changes to improve their mental health. Medication can be very helpful in terms of alleviating mental health symptoms; however, choosing the right medication and/or combination of meds is crucial to achieving successful outcomes. Secondary to the psychiatry shortage, providers in other specialties find themselves treating mental health patients, which can present additional challenges. This recording will arm you with a valuable update on the different classes of psychiatric medications and facilitate a deeper level of understanding in terms of how these medications work on their respective neurotransmitters and how they work in conjunction with one another. It is uncommon for mental health patients to be on only one medication, as a combination of medications is often required to reach the desired level of improvement. After this course, you will be able to identify effective medication regimens for patients based on their psychiatric history and presenting symptoms, ultimately contributing to quality of life improvements in patients with mental health conditions. 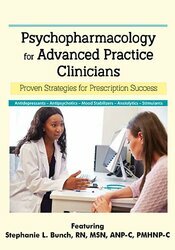 Recognize ways to conceptualize psychiatric symptomatology outside the box. Evaluate common medical conditions that you may inadvertently diagnose as psychiatric in nature. Analyze the 4 main neurotransmitters and how their imbalance influences different psychiatric disorders. Compare efficacy of the newer class of serotonin modulators to the other widely-used antidepressant classes. Examine frequently asked questions regarding the impact of alcohol and marijuana for patients taking psychotropic medications. Learn strategic ways to customize treatment plans based on your patient's individual needs. Targeted neurotransmitters - DA, mechanism of action, DA pathways, D2 and 5Ht2A - why is this important? Typical vs. atypical - what are the differences and how do we choose them? Stephanie L. Bunch works in a large private practice in Lansing, Michigan, providing clinical services to children, adolescents, and adults with psychiatric disorders, including ADHD, Bipolar Disorder, Depression, Anxiety, Obsessive-compulsive tendencies, Schizophrenia, Autism Spectrum Disorder, Traumatic Brain Injury, PTSD, and Personality Disorders. She has achieved considerable success treating these conditions. This success has largely resulted from the development of a structured model of care that includes a significant focus on clinical and background histories, identifying psychosocial stressors, and evaluating prior medical and psychiatric diagnoses (and treatment regimens associated with these conditions). This approach and model of medical management is essential to the effective delivery of psychiatric medications to this population. Stephanie's commitment to her specialty is evident. She completed a post-graduate degree specializing in psychiatry at Johns Hopkins University in Baltimore, Maryland, earned her Psychiatric Mental Health Nurse Practitioner certificate and is a requested presenter, sharing her expertise with multidisciplinary healthcare audiences throughout the country.